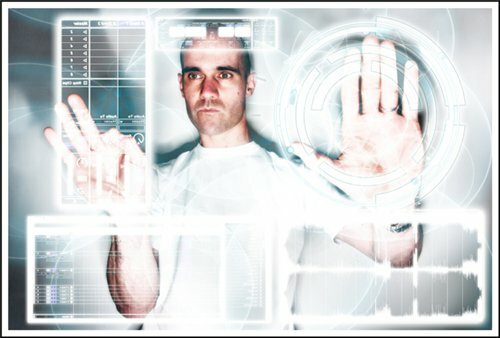 John 00 Fleming and Christopher Lawrence have been around for a long time, veterans of the trance world scene. This is psy-trance co-production by these two electronic music masters. Get ready to move your feet. John played for an under age 18 party at his school on the request of his school headmaster. After that at only 15 years old he was asked to become the resident DJ at Sterns nightclub in Worthing, his hometown. In the 80s John was recognized and honred for his residency at Sterns where he shared the turn tables with big names in the dance-music scene such as Carl Cox, Fabio and GrooveRider. While Acid House and the rave scene became more popular, John Fleming moved forward as one of the leaders of the scene with appearances at Fantazia, RainDance and Ibiza, this was way back in 1987. Here’s an amazing re-mix of a electronic music classic Oxygene by Jean Michel Jarre by non other than the trance master himself John 00 Flemming and Digital Blonde. Here’s a remix of John 00 Fleming’s song called “I’m Not Fooled” by Smith & Pledger. Nice trance track, have a listen.